Graphic Package A includes the 4 graphics at the top of the tower. 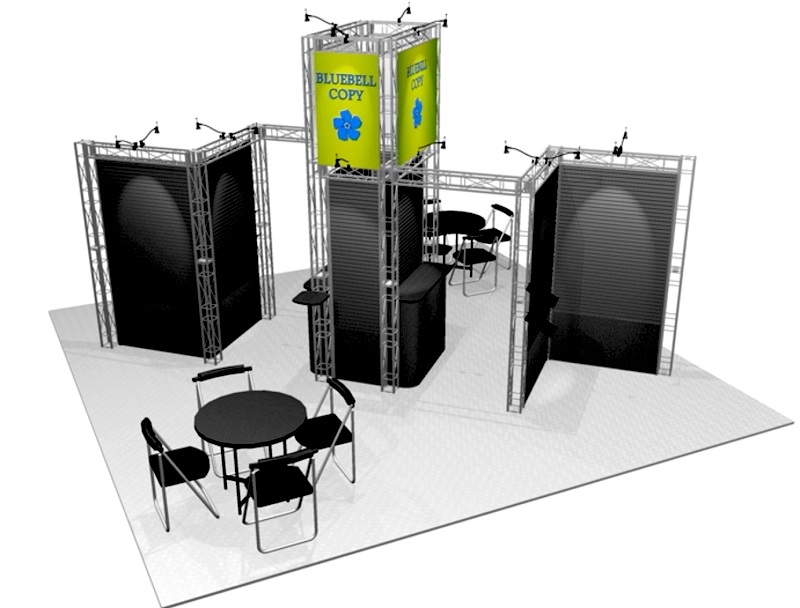 The tower base consists of two 23″ wide full height slatwall panels and two 46″ wide counters with slatwall above them. 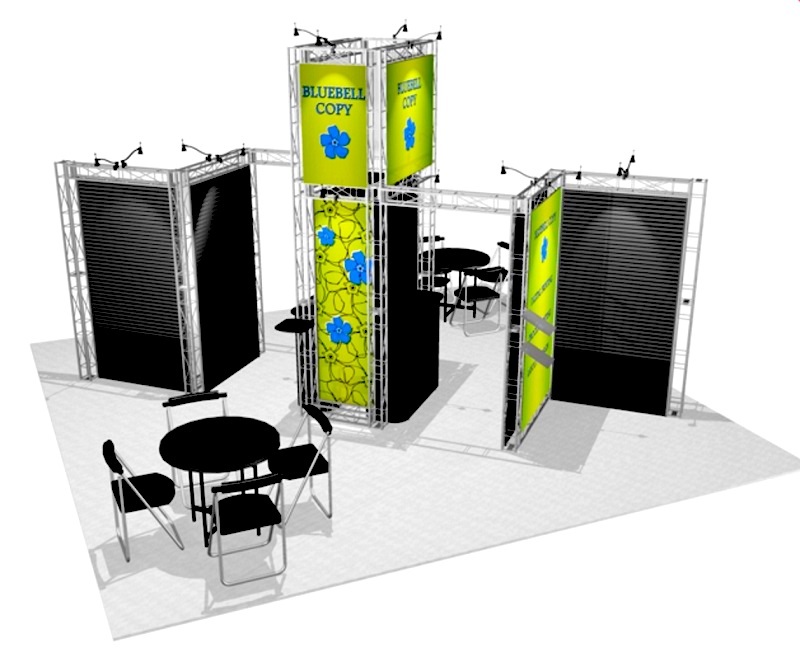 The wingwalls are all 46″ wide full height slatwall panels. If you’re able to re-use the same graphics the price at your next show will be $6,950.00. Graphic package B includes the 4 graphics at the top of the tower plus two 23″ wide full height tower side graphics and two 46″ wide wingwall graphics. If your graphics can be used for multiple shows only pay the base price of $6,950.00 for future shows! Package C include Package B plus the upper half of the in-facing walls of the conference room and the panels behind the monitors on the workstations. We’ll make the investment worthwhile by storing your graphics for free! 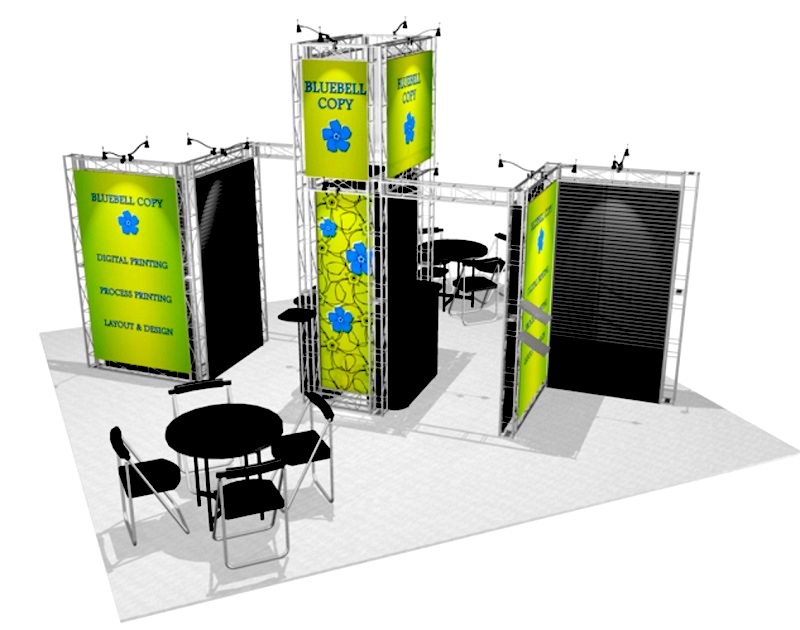 Use your same graphics for the next show and your price drops to only $6,950.00. 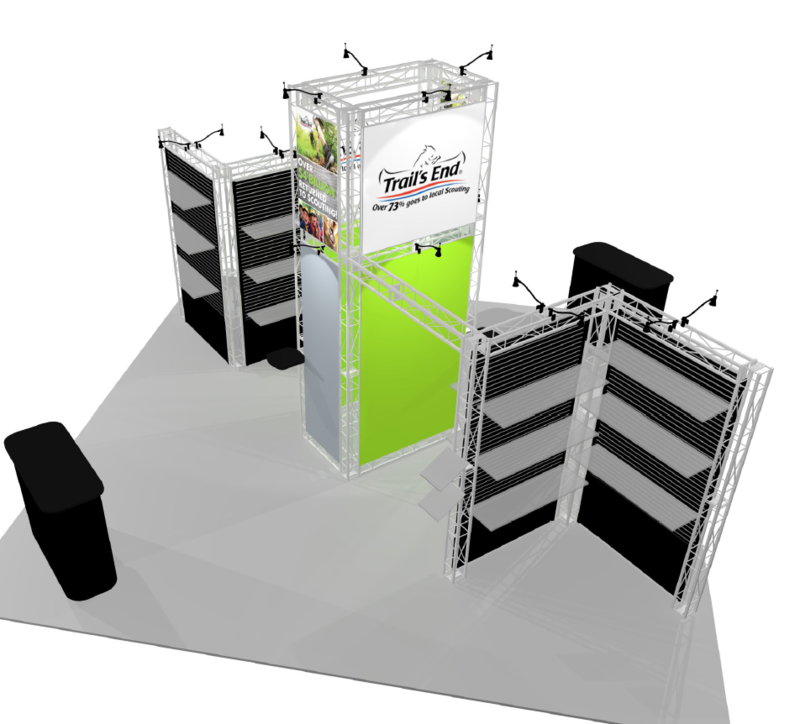 Need a Double Deck Exhibit?